Captioning and Subtitling products MacCaption and CaptionMaker allow you to easily author, edit, encode and repurpose video captions and subtitles for television, web and mobile delivery. Utilizing exclusive e-Captioning™ technology, MacCaption (for Mac) and CaptionMaker (for Windows) simplify the process of complying with government regulations, enabling greater access to broadcast content for television, online and mobile viewers. "Now with either MacCaption or CaptionMaker, I'm able to work so much faster, and with such accuracy, that I'm able to accomplish so much more with the available budget and resources." "MacCaption is critical to our broadcast efforts and making a positive impression on TV viewers. 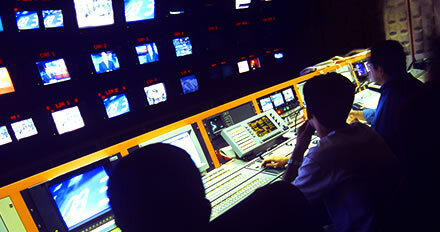 Along with Switch, it gives us complete control over our closed captioning process so we can ensure quality results." "You guys rock and we would recommend your software and services to anyone!" "I want to thank you and your staff for the fantastic service… Honestly, I’m blown away by you guys." "I really appreciate Telestream for their clear, concise, and direct technical support, as well as their responsiveness to customers’ needs. It does not go unnoticed." "We have received excellent technical support. Telestream has always been there for us, with knowledgeable support staff, providing answers in language we can understand." "Thanks for a great product – it frequently blows our minds." "It’s as if the software were designed by a captioner, not a programmer. Caption features are presented in a very intuitive manner." – Burwell Ware, Caption Perfect Inc.
"The software is very user friendly. We were captioning the day we received our system." "Telestream is deservedly the industry go-to for professional captioning and subtitling solutions." – Kelly Maxwell, Line 21 Media Services LTD.
"I have to say that in my 10+ years of working in broadcast software and hardware that Telestream has the best tech support I’ve ever seen." The fastest and simplest way to author and edit closed captions and subtitles for any type of video. Take advantage of the same powerful yet easy to use closed captioning software trusted by top industry professionals. Now Available! : Speech-to-Text with Timed Text Speech. Export closed captions and subtitles directly into broadcast and web media files, as well as a broad range of caption and subtitle file formats, with industry-leading format creation and conversion support. Troubleshoot and QC your accessible video files. Automate high volume caption and subtitle processing tasks such as insertion and extraction, format conversion, timing and frame rate adjustment, sub-clipping and clip assembly. Combine with Vantage for powerful automated closed captioning workflows. Meet all FCC regulations for both TV and internet closed captioning with the industry’s leading support for CEA-708 caption file formats, QC and troubleshooting of caption files, plus automated adjustments and conversions. Solve the challenges of modern content production, editing, delivery, and archival while maintaining the highest quality closed captions and subtitles. Accommodate your employees’ accessibility needs without compromising security or confidentiality, and ensure compliance with all legal requirements such as Section 508 and the ADA. 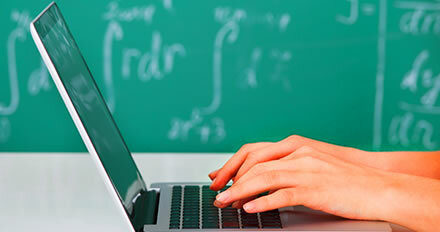 Enhance the accessibility and value of your recorded lessons without breaking your budget. 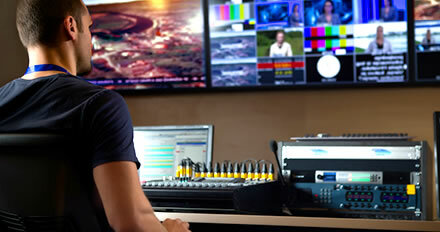 Provide learning opportunities for high demand job skills to your students interested in broadcast and media production. Dramatically save time by automatically creating a text transcript of your video using speech-to-text technology. Auto-Transcribe your media in over 100 languages using Timed Text Speech. This cloud based service uses the power of AI to return texting and timing results to CaptionMaker and MacCaption. MacCaption and CaptionMaker provide an efficient way for you to comply with federal regulations while maintaining fast delivery of time-sensitive captioned video material. Output Caption and Subtitle files to Vantage for DVB Teletext, DVB Subtitles, and video transcoding with CEA-608 and 708 to various media formats. Fix, troubleshoot, and legalize problematic caption file formats such as SCC. At the core of MacCaption and CaptionMaker is the e-Captioning™ engine. This revolutionary technology integrates with digital production systems to prepare and encode both standard and high definition video with caption and subtitle data. Captioning and subtitling for file based workflows, OTT web and mobile, NLEs, assembly and media management, live broadcast and webcast, DVD and Blu-Ray. Create closed captions from scratch. You can author the captions by bringing in a video and a text file, and use Auto Time Stamp to automatically sync them up. You can import and export the captions to popular file formats like SCC (CEA-608), MCC (CEA-708), Timed Text, WebVTT, DVD closed captions, burn-in subtitles, and most standalone file formats for web and mobile device video closed captioning. Automatically transcribe and time stamp your videos in over 100 languages using Timed Text Speech, or author captions by bringing in a video and a text file, and use Auto Time Stamp to automatically sync them up. Learn more. Includes all features of Desktop Edition. Pro adds support for embedding CEA-708/608 captions into (and extracting captions from) broadcast TV formats like MPEG-2, H.264, MXF, QuickTime ProRes*, and Avid AAF. You can also import many professional caption interchange formats such as CAP, TDS, ULT, PAC, and EBU-STL for editing and conversion to CEA-708 captions. Pro also supports subtitle overlays, professional DVD & Blu-ray subtitling formats, live captioning† and manual assemble captions* (conform to EDL). Learn more. Includes all features of Pro Edition. 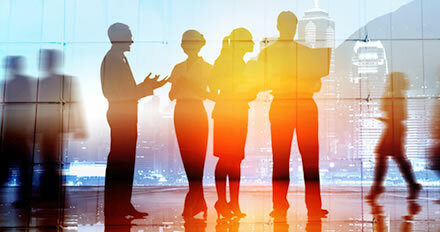 Enterprise is aimed at users who need to automate closed captioning conversion and editing tasks. In addition to all the features of the Pro version, Enterprise supports batch conversion and external scripting & control (Command Line Interface). Learn more. Not sure which Captioning product you need? View our product comparison chart. To caption a video you need a transcript. Then you need to synchronize, or time stamp, the transcript so that each phrase is displayed at the right time. Our Auto Time Stamp (ATS) feature dramatically reduces the time it takes to time stamp your captions. Use our products to embed closed captioning directly into files, including: MPEG-2 Program and Transport Streams, QuickTime, MCC, and more. Teletext OP-47/OP-42, CEA-608, and CEA-708 read and write are supported for MXF OP1a workflows. Our software provides the flexibility to create closed captions for all the popular web and mobile formats, including: Facebook, YouTube, Flash, QuickTime, iTunes, Vimeo and Windows Media. It also converts existing closed captions into web formats. MacCaption products now support all the new Internet captioning formats, including IMSC 1.0, WebVTT, SMPTE TT 2052, EBU-TT, and iTunes.iTT. This allows you to upload your video content with captions for playback on YouTube, Vimeo, iTunes, Android, Safari in iOS7, and Kindle Fire. Universities, government agencies, and corporate video departments can now comply with strict accessibility guidelines by using MacCaption to easily create FCC-compliant caption data and other Internet closed captioning video formats. MacCaption and CaptionMaker are the only software products that enable the HD closed captioning functions of Adobe Premiere Pro, Avid Media Composer & Symphony, and Final Cut Pro. You can edit and output HD and SD closed captions to tape, file, disc, mobile devices, and the web. Subtitle overlay files are created with alpha channel graphics to provide compatibility with your editing workflow. Extract closed captions from previously captioned video and re-export them to a variety of formats. Caption and subtitle data can automatically be conformed to match an edit decision list (EDL). Software also supports batch conversion and command line interface (CLI) scripting for automated workflows. Use our software with a hardware encoder to caption a live broadcast or to live text stream to a web site. Or, use it to caption live YouTube streaming video. Captions can be input via speech recognition software or stenograph. Subtitling support includes burn-in to .MOV, Teletext OP-47/OP-42, and subtitle overlay exports to video editing and transcoding systems. In addition, MacCaption and CaptionMaker support standard subtitling text formats for conversion to modern OTT subtitling files. Our MacCaption system is excellent for subtitling in foreign languages and has support for custom fonts, drop shadows, and Japanese Ruby annotation formatting. Convert your subtitling project to iTunes iTT for international delivery. An accurate English language transcript.